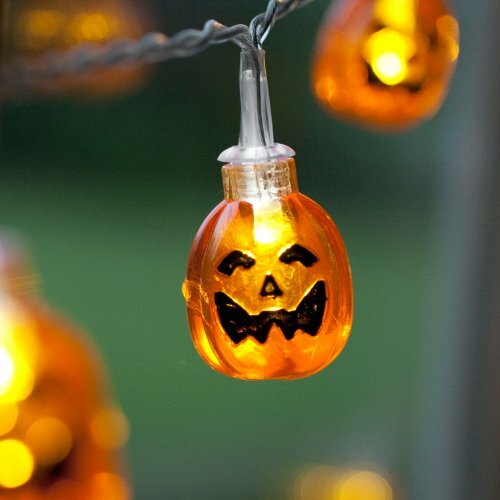 Add a glamorous glow on your Halloween decorations this October with our beaming pumpkins. 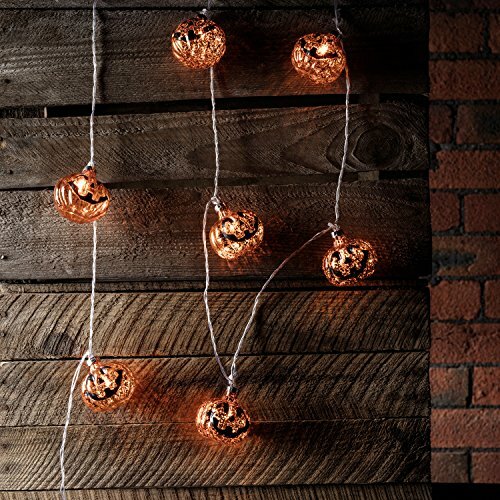 With a mottled finish, the baubles create probably the most fabulous speckled shadow effect on their surroundings when illuminated. 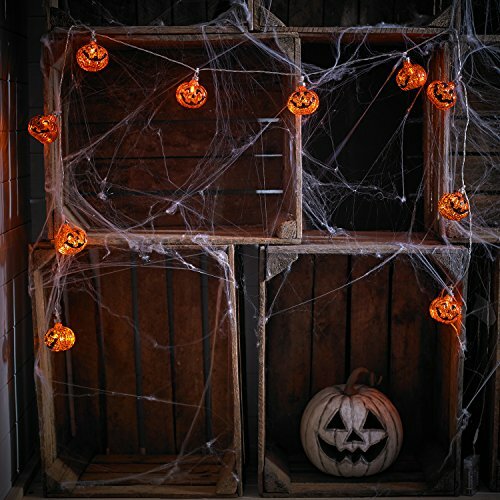 Each and every 6cm pumpkin has a classic carved effect grin imprinted in black and houses one amber LED with a static light effect – no flashing. 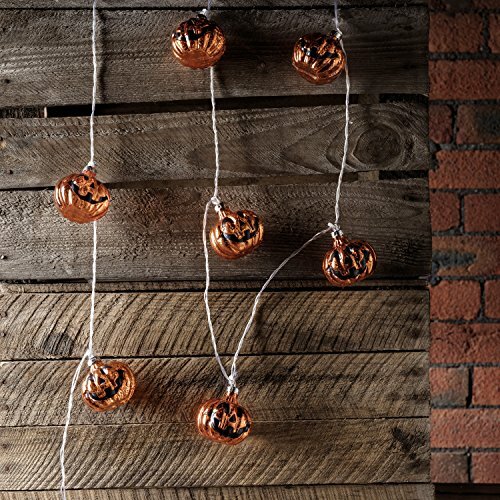 The 10 baubles take a seat along 1.8m of discreet clear cable which gives the illusion of little floating pumpkins. There is a handy 0.5m lead to the transparent battery box so it may be tucked out of sight with ease. 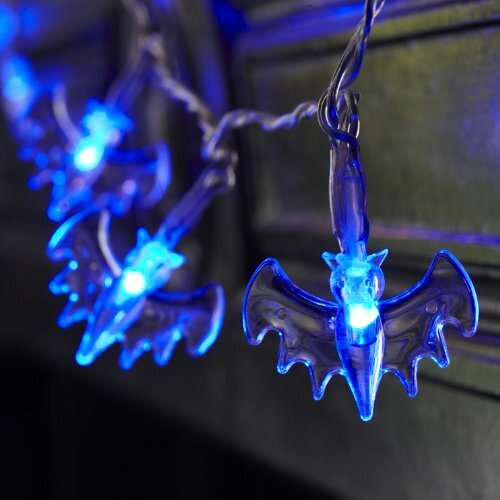 These lights are super lightweight and super protected to be used around fabrics and little fingers as the LEDs stay cool to the touch. 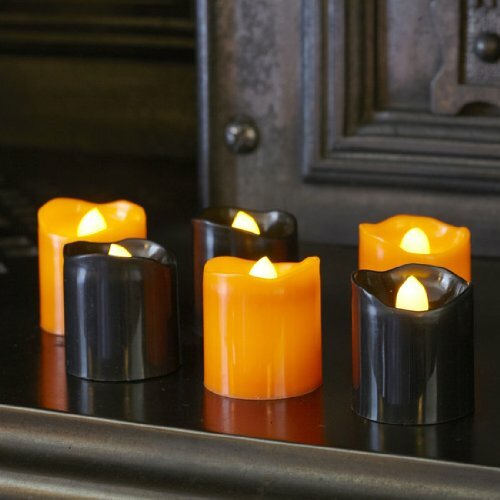 Simply pop in 3 x AA batteries (not included) and flick the rocker switch to ON, OFF or the TIMER function. You’ll expect 100 hours illumination before a battery change is needed and we recommend the use of the timer function to save your energy!